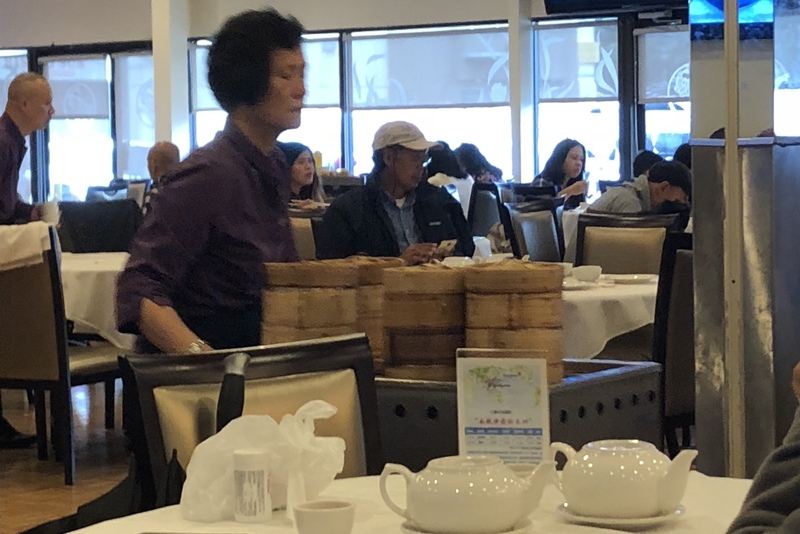 I couldn’t remember when the last time was when I saw a dim sum cart. The carts here at Continental Seafood Restaurant really excited me when I walked into the restaurant in East Richmond. This place is HUGE, so getting a table here does not take too long even when the whole place is full. But if you decide to come during the prime hours like 12 pm on a Saturday, it is better to call and book a table first. 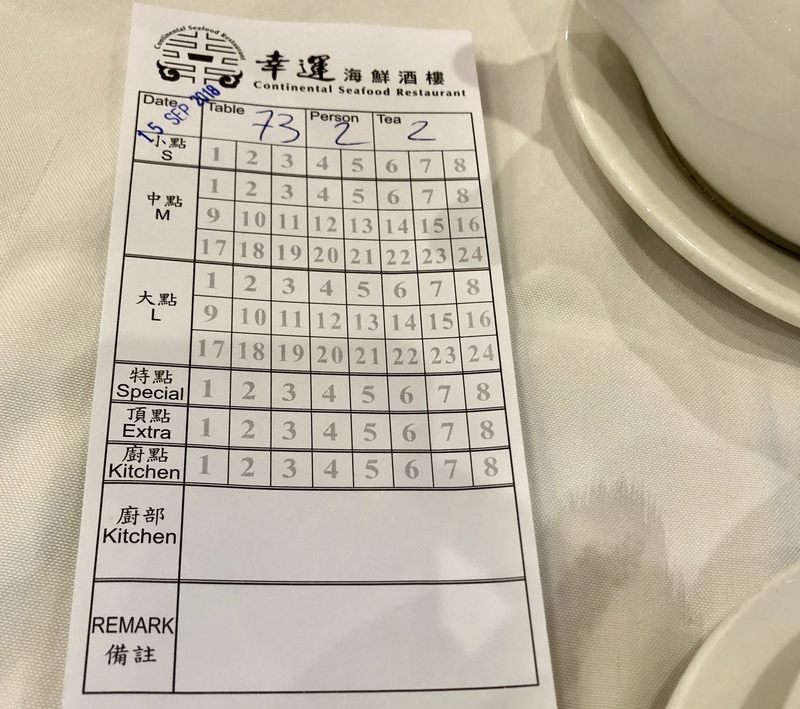 A dim sum sheet will be used to record the number of dishes consumed per table. 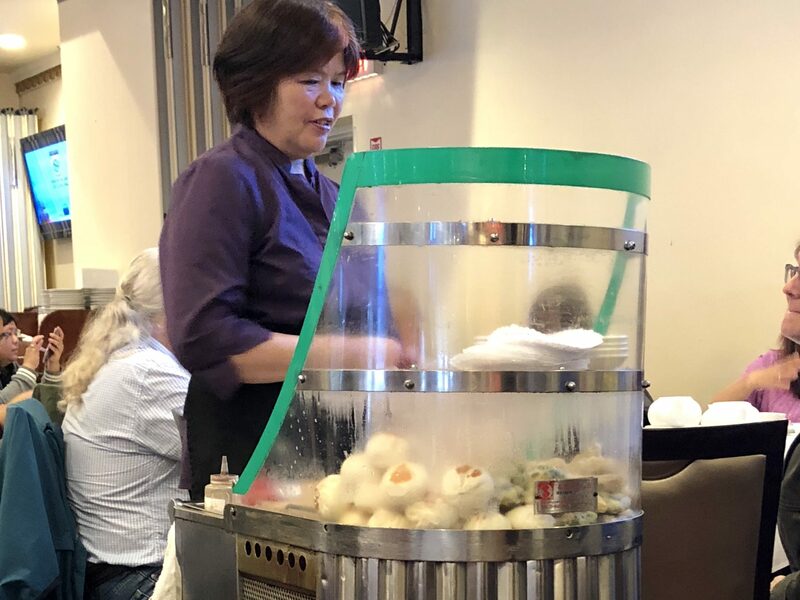 Among the dim sum carts, it was great to see the one with a pan frying station, where the dim sum cart lady could freshly pan fry dumplings, buns, and radish cake on a big flat iron grill. I haven’t seen this in years! We ordered the Shrimp and Chive Dumplings from the grill. The flavours from chive and fresh shrimps were impressive. However, I found the dumplings a bit too oily. 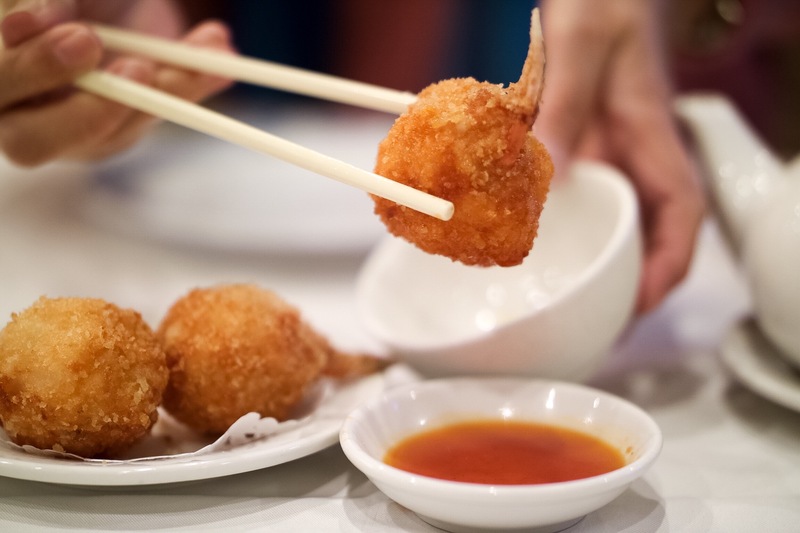 The Stuffed Crab Claws with Shrimp Paste is usually a dinner dish but it was served during dim sum lunch service. There was very little crab meat as expected but the crunchiness of the cooked shrimp paste was what we were looking for. 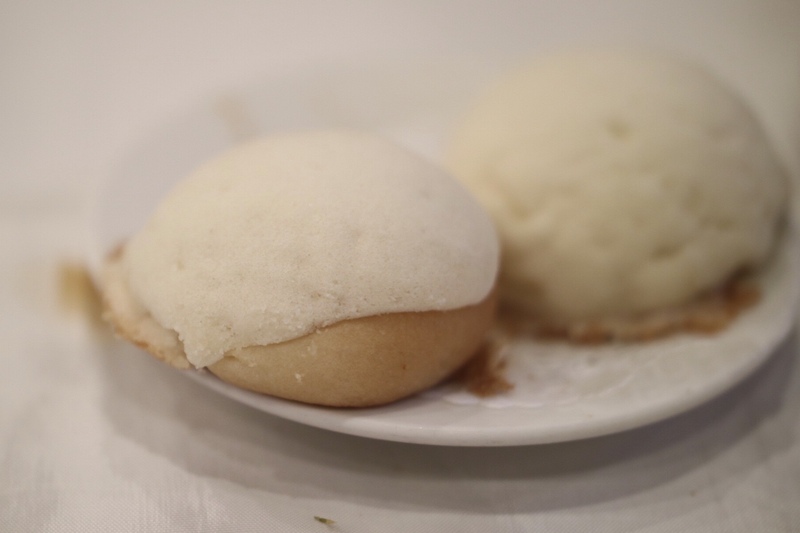 We enjoyed both the Scallop Dumplings and the BBQ Pork Buns with Sugar Crust. The dim sum dishes here definitely are not the most refined ones but they were flavourful. My issue with this place is actually the carts themselves. You definitely need a lot of time and patience for the food to come around. 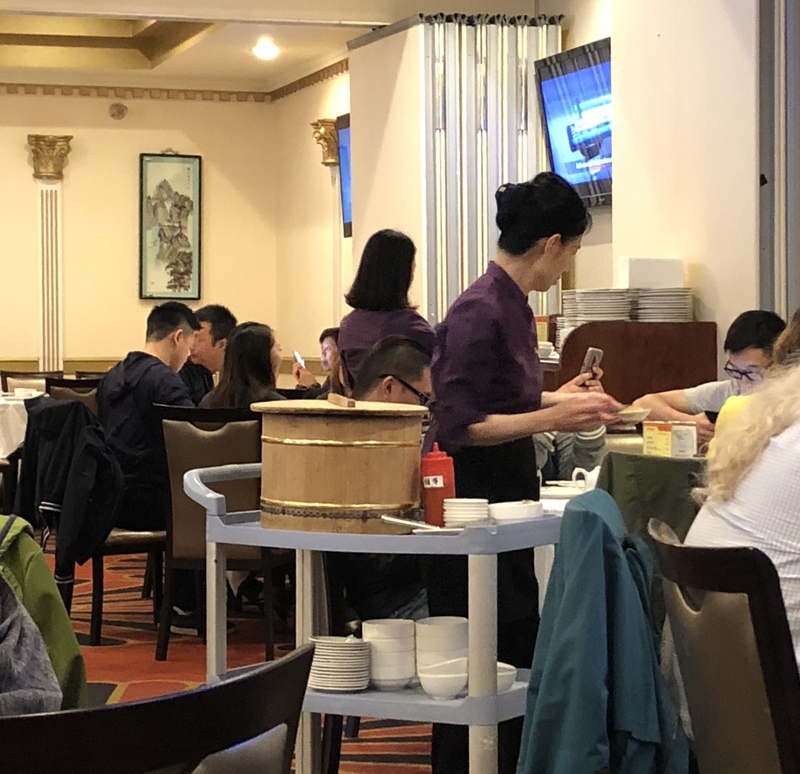 So having the carts is a trade-off, and it’s also why this form of service is dying at Chinese restaurants. However, you can order everything definitely from the servers, but that seems to defeat the purpose if you come here to experience the cart service. 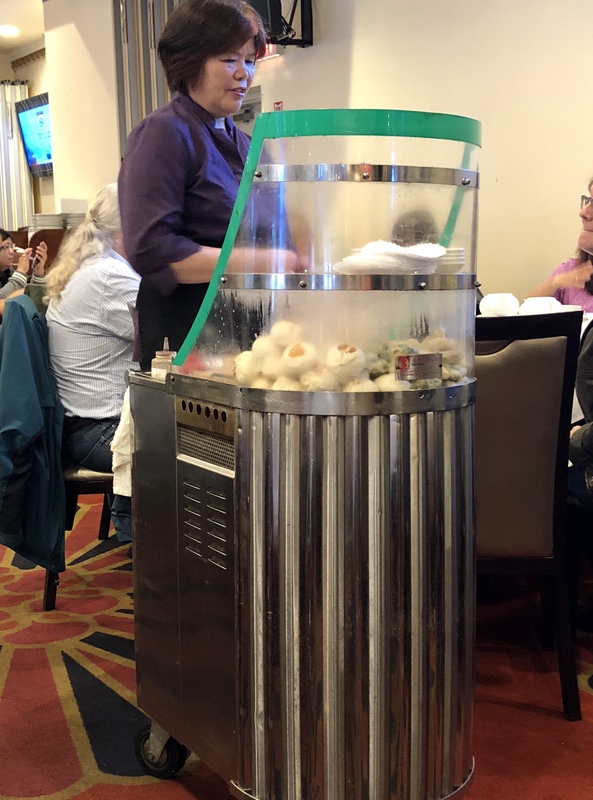 I really couldn’t think of any other places that run dim sum carts in Richmond than this one. 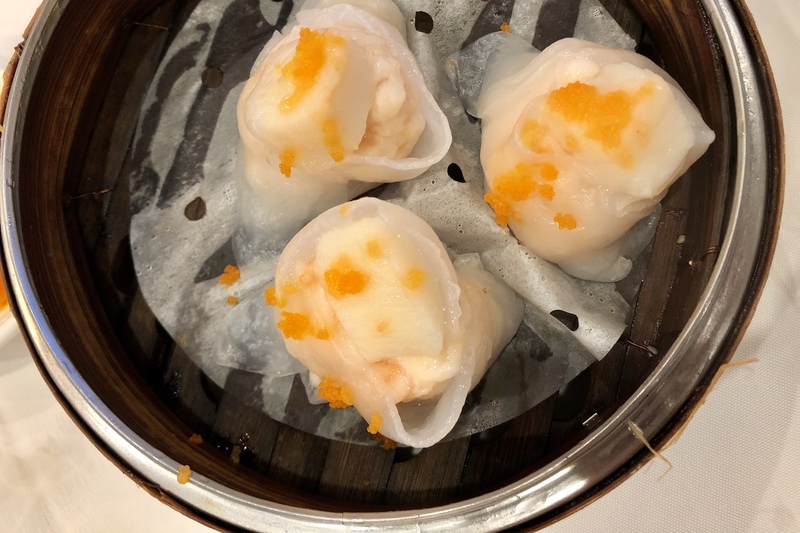 It is an interesting spot for whoever is looking for a nostalgic Cantonese experience. Getting food here definitely takes a little longer if you insist on getting your favourite dishes by waiting for the carts to come by. 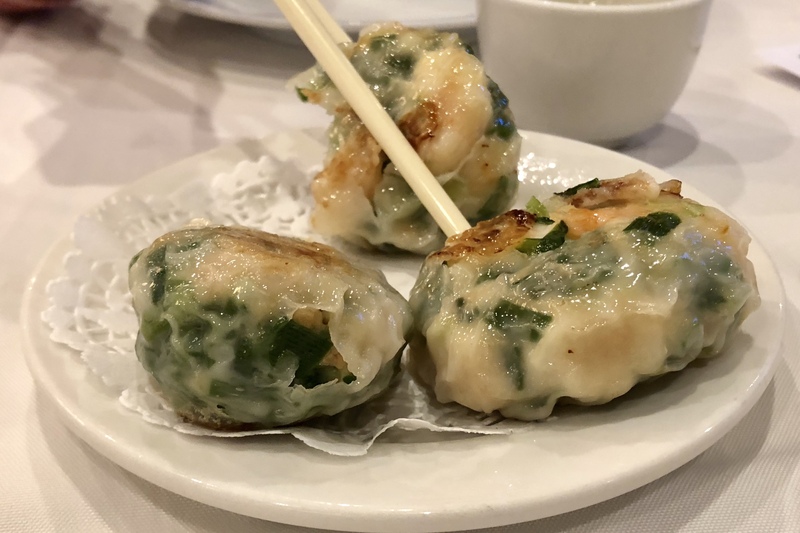 The food is not bad, but not super amazing either, compared to the hundreds of great dim sum places in Richmond, with most of them in the central area and much more accessible. I would come back here just for the novelty. After all, keeping a tradition will always be appreciated. I kept a list of places in the Lower Mainland that still do carts. I haven’t updated since 2016 but as of that time, Continental was the only one I found in Richmond. Golden Ocean in Kerrisdale still has them too. The other places that did were Kam Ding, Luxe, Flamingo House and Floata, FWIW. Yah I visited Golden Ocean recently too. 🙂 Thank you for sharing the list!